Order lawn mowing and all other Dallas lawn services from the comfort of your screen. Very polite and courteous service! Got a hard job done in great time, overall satisfied with the job done! We currently have no rainfall data available for Dallas, TX. What is the best grass type for your lawn in Dallas, TX? Native to southern Texas and regions in Mexico, this tapered leaf succulent thrives in dry desert climates. It is commonly used in container or rock gardens. Everyone knows everything’s bigger in Texas and anyone who wants to question the validity of that statement should look no further than Dallas. We just like big things here. We have a seven foot German that we’re absolutely obsessed with, we have a high-definition TV screen that’s literally the size of 3,200 52-inch high-definition TV screens, and we have not just any ferris wheel─but the only part-time ferris wheel that made USA Today’s top 5 tallest ferris wheels list. Touching Collin, Denton, Kaufman, Rockwall and of course, Dallas counties, even our city is massive. Come to think of it... our lawns are pretty massive too… and we worked our butts off for our massive lawns. Let’s be real, we all know what the weekends are for─brunch and mimosas with friends and family; not for mowing the lawn and picking the weeds out of the yard. Well hello Weekend Warrior, meet LawnStarter, your Sunday morning’s new best friend. We’re the best kind of friend, we’re the kind of friend that mows the massive lawn for you because you know that the weekends are really for family. So go ahead, let your friendly neighborhood LawnStarter team take care of all of your Dallas lawn care needs. Gone are the days of checks under the doormat, playing phone tag with your lawn guy, or being left in the dark when rain Lord knows we need it here in Dallas!) causes delays. LawnStarter make the entire process seamless for you. From the start - where you book online in minutes with a credit card - to finish where you rate your lawn service provider's work, we make the process so easy you won't be able to see how you lived without it. Get a quote for mowing today, and experience the LawnStarter difference. We got started in the lawn care business about 6 years ago as a way for both of us to be able to work from home and set our own schedule so that we could attend our daughters school and soccer events. LawnStarter has been able to connect us with customers we may not have otherwise gotten in front of. The landscaping business is hard work; not just because mowing lawns is hard, but because of the competition and lack of good scheduling tools. If you're looking for the best lawn mowing Dallas has, look no further. LawnStarter has been instrumental in solving these problems, and I am proud to call myself a LawnStarter Certified Professional. I love having the ability to add additional jobs in areas our crews are already working so that we maximize our efficiency. Being able to provide our crews with full schedules every day is one of the main advantages of partnering with LawnStarter. 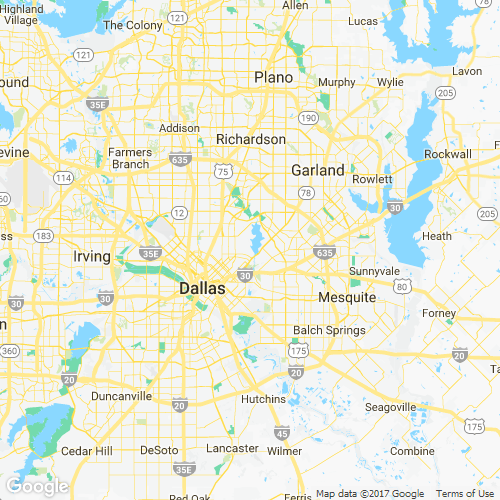 If you need a Dallas lawn mowing service, we'd be happy to service you. My husband saw again missing areas w/in the yard not mowed ..for the most part good! Marco was fantastic!! My yard looks stunning. do not skip me as the front lawn is always shorter than the back. thanks for wading through it and getting it done. Good job but please try to come during scheduled window in future or let lawn starter know if you have too many clients. Looks good. However, he never picks up the occasional twigs in the front yard. Ambrosio did a great job, everthing was neatly done so I can't complain. I would like for my grass to be a cut a little lower if possible....if it can't be done that's fine. Kyle did a very nice job. yard looks very nice. i am pleased with the work. Just missed the grass around my tree it can easily be mistaken for a flower garden though so no worries really good job other than that. Kyle is great, really detailed, and a great communicator! Alley by garbage cans wasn't done. I think it was too early for the yard because I couldn't tell much difference. Chris and His team are awesome! Very professional & personable! The yard always looks amazing, when they finish! Looks good as always! Thank you! Kyle did a great job. However, the last crew removed ALL THE MULCH FROM THE FRONT BEDS WHICH I PAID SOMEONE TO LAY! My gardener came by today and she was appalled. Would appreciate your comments! Could someone call me? McCluskey Lawn and Landcare LLC. The Lawntrepreneur Scholarship is our way of giving back to the up and coming young entrepreneurs in the Dallas, TX area. Vern is the founder of D'shauwn Lawn Service, a local lawn care company in Dallas, TX. If you need a punctual and professional lawn care company, look no further. I LOVE THIS APP!! Michael did a phenomenal job! I'm so happy!! Thank you Michael! Philip has been very responsive and has resolved my issues.